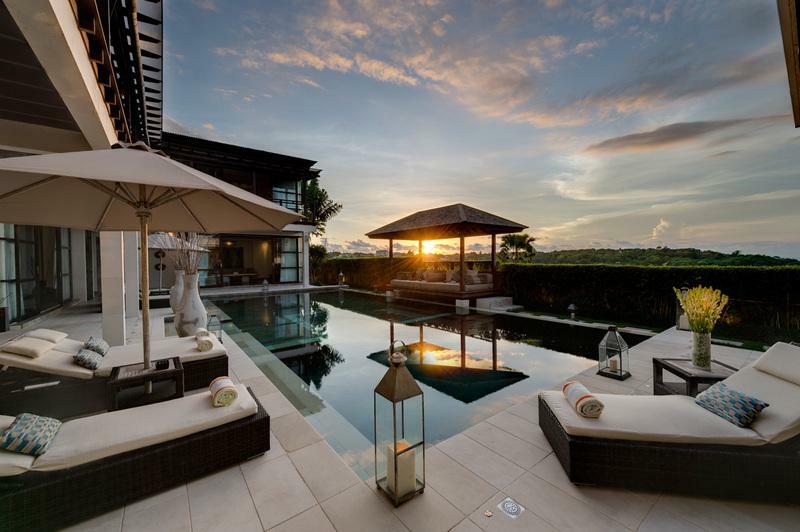 The villa is a surreal boutique luxury villa, poised in the very center of Jimbaran Bay, just a step away from the white sand beach. This private beachfront villa has been exclusively designed with a Balinese charm, unparalleled service, and ultimate privacy. 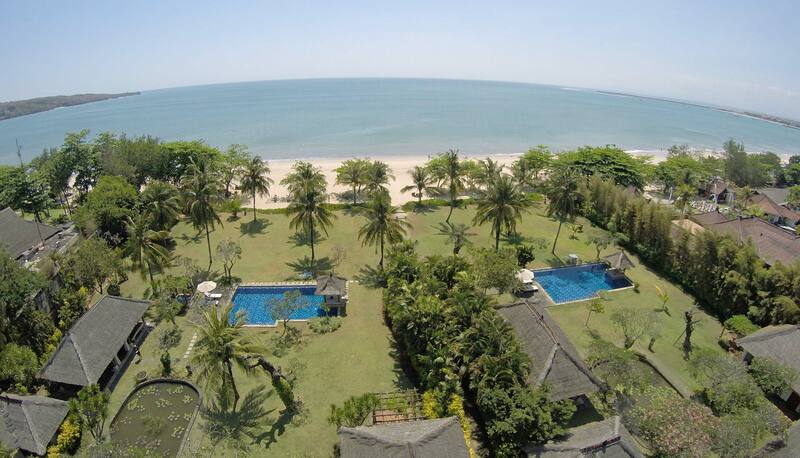 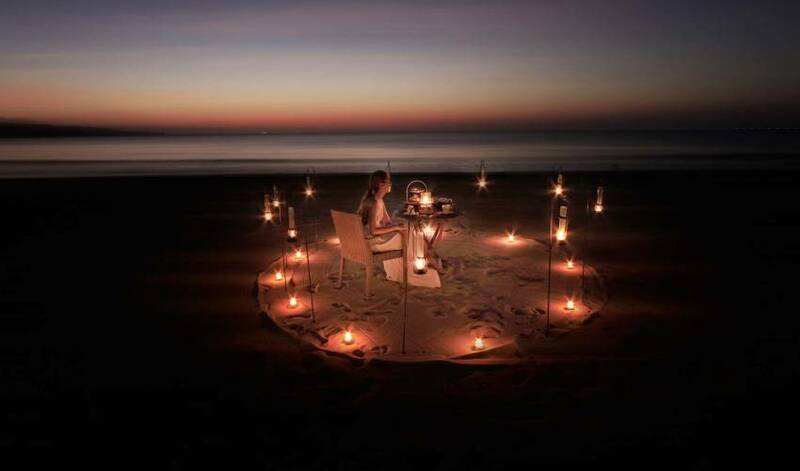 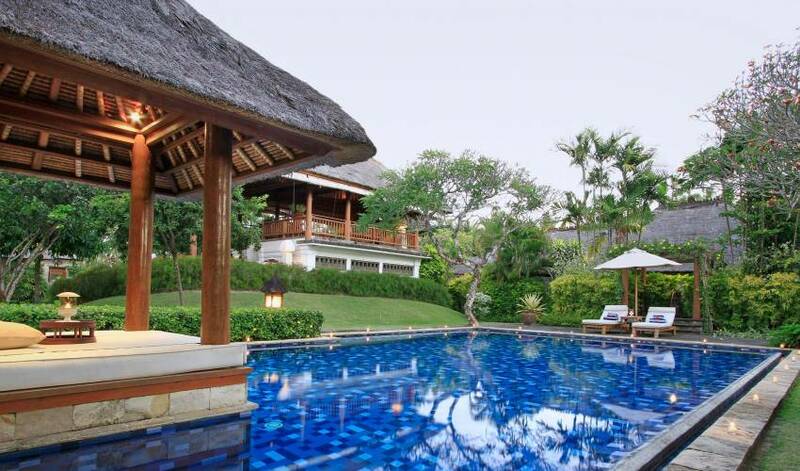 The villa is a beachfront luxury holiday destination at Jimbaran, Bali. 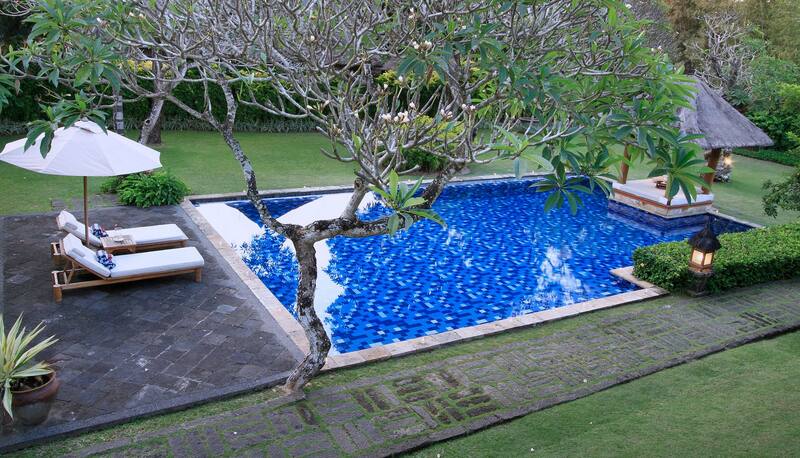 The Villa is only 15 minutes from Denpasar airport. 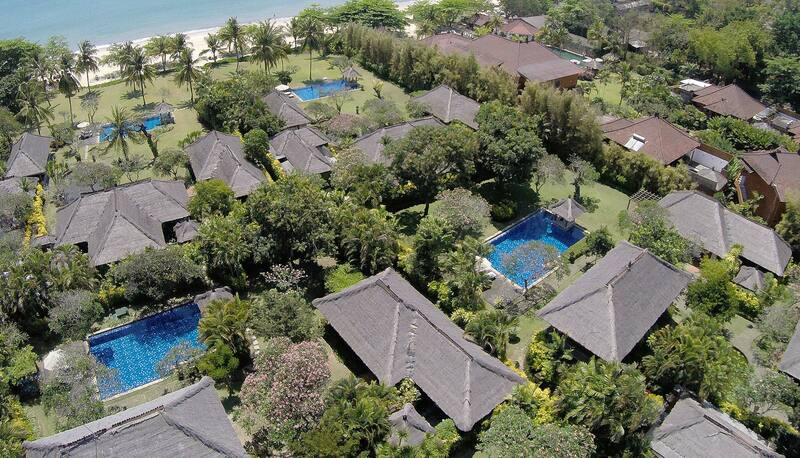 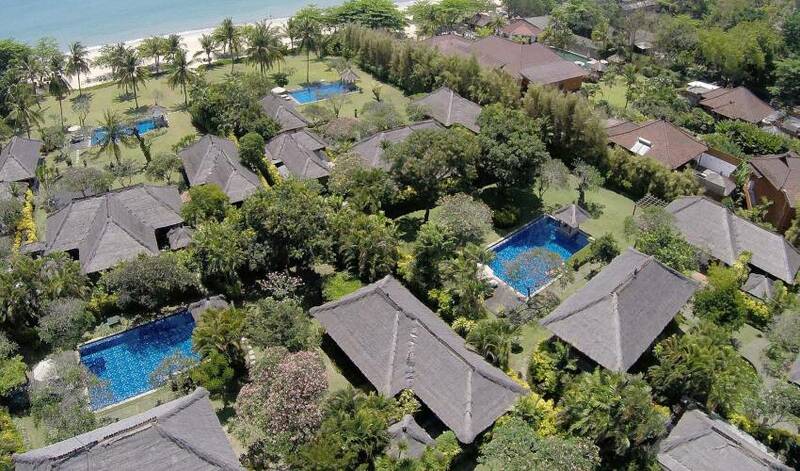 There are four spacious villas, two 3000sqm-sized Beachfront villas, and two 2000sqm-sized Garden View villas. 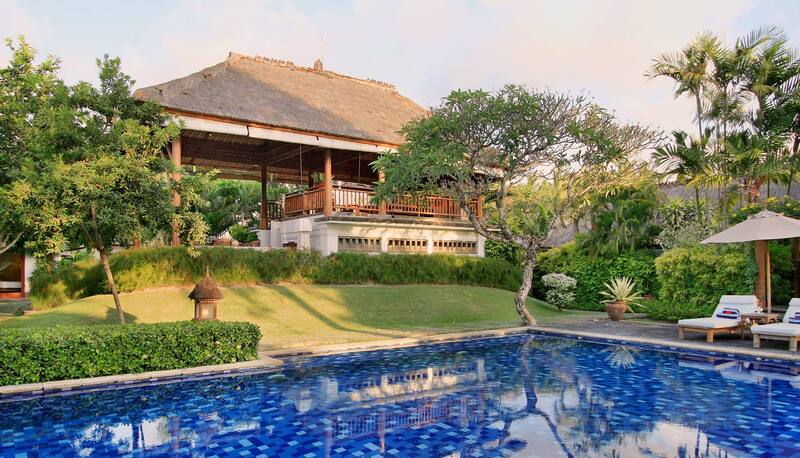 The villas are contained in private walled tropical gardens with indoor and outdoor Balinese pavilions. 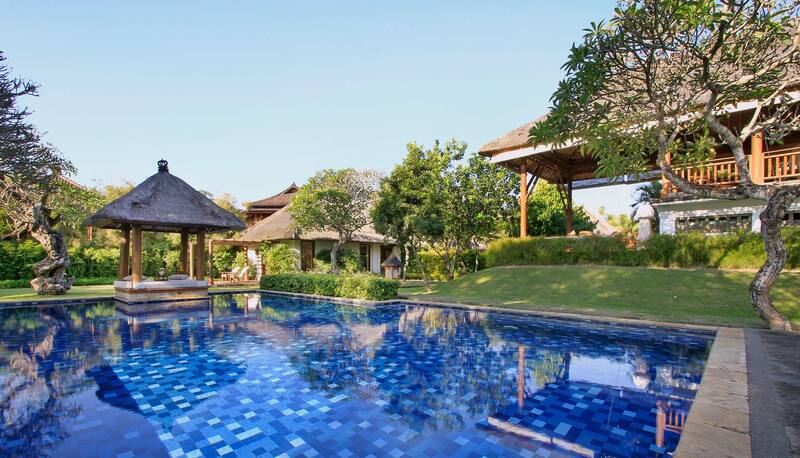 Each villa is equipped with air-conditioned bedrooms, a private pool, well-equipped kitchen, 32” LCD TV with Mini Hi-Fi, semi-outdoor Balinese-style bathrooms, and lush tropical garden. 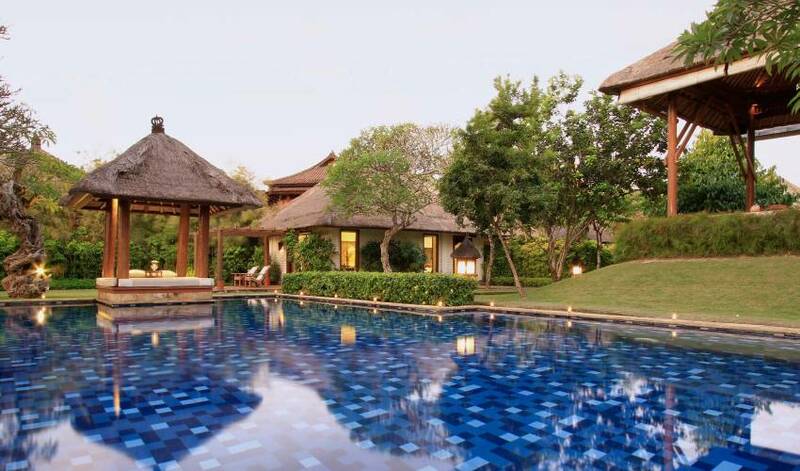 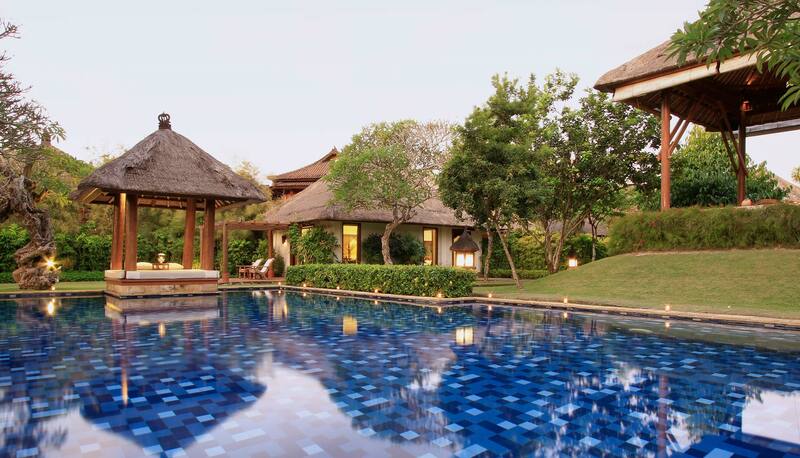 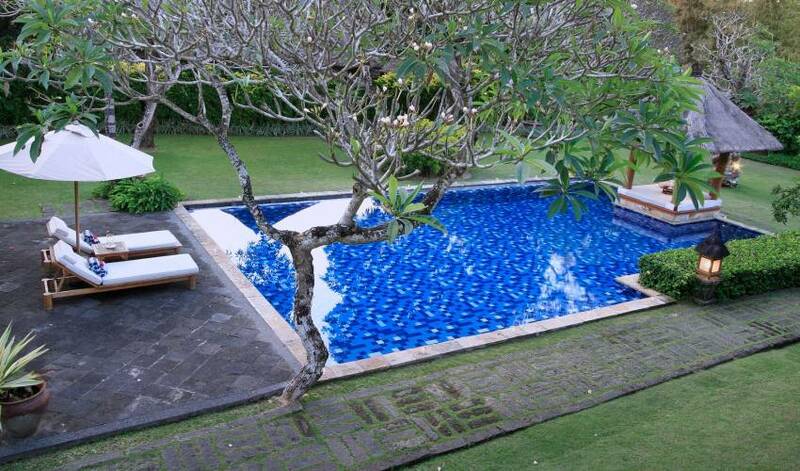 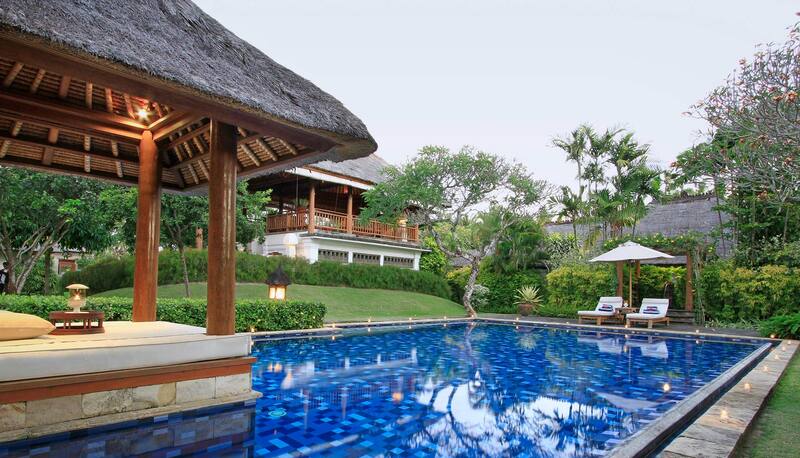 The villas here are exquisitely designed with Balinese charm.